Image by Kim Hansen. Some Rights Reserved. Fuji Keizai Co., a Japanese market research firm, released the results of its investigation into the prospects of the renewable energy market on June 20, 2013. 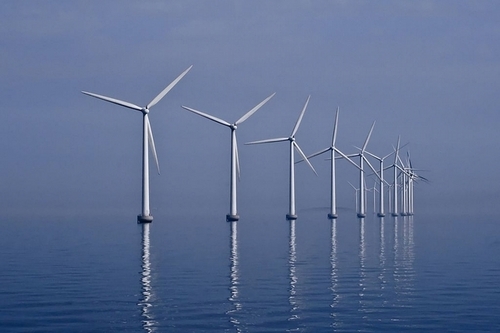 It predicts that the domestic market for offshore wind power generation will show a rapid growth from 50 million yen ( about U.S.$0.51 million) in 2012 to 76.7 billion yen (about U.S.$0.78 billion), in 2020. 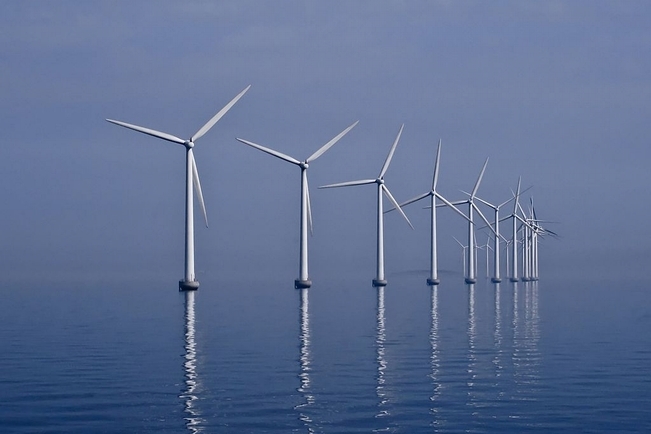 Offshore wind power generation is capable of generating more electricity than on land due to stronger winds. Fuji Keizai expects further expansion of offshore wind power generation systems, taking into account the tests for floating offshore wind power generation underway since fiscal 2012 at Kabashima, off the coast of Goto City, Nagasaki Prefecture, southern Japan. Fuji Keizai also forecasts the rapid growth of Ocean Thermal Energy Conversion (OTEC) from 0 yen in 2012 to 180 billion yen (about U.S.$1.84 billion) in 2020. OTEC drives a turbine to generate power utilizing differences in temperature between warmer surface water and cooler deep seawater to generate electricity. Fuji Keizai's prediction is based on following factors: 1) the launch of tests for OTEC at Kume Island in Okinawa Prefecture, southern Japan, conducted by the Okinawa Prefectural Deep Sea Water Research Center; and 2) plans to start operation of a commercial plant with a generation capacity of 10 megawatts by 2020 by the New Energy and Industrial Technology Development Organization (NEDO), an agency under Japan's Ministry of Economy, Trade and Industry.